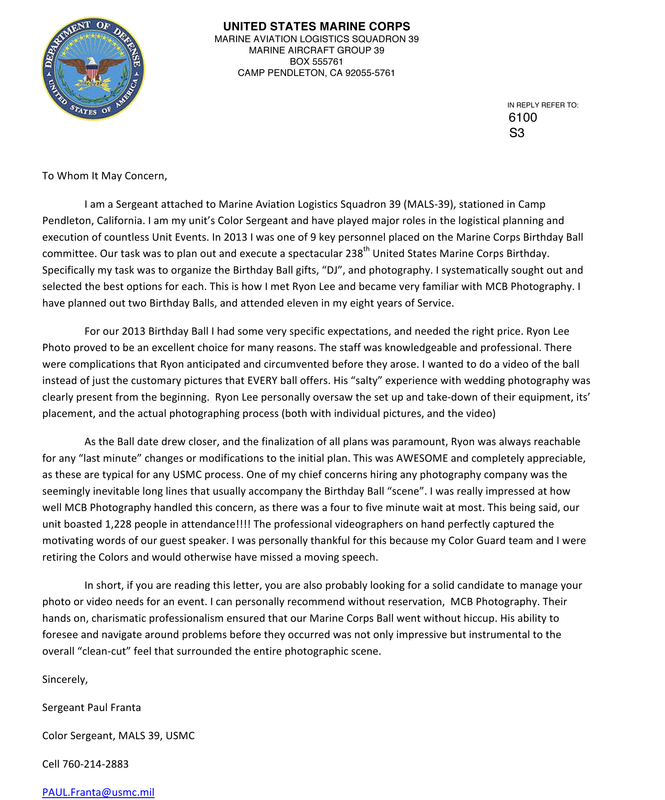 MCB is excited to announce that we have teamed up with San Diego’s premier film company, Ryon Lee Media, to offer professionally filmed and edited Marine and Navy Birthday Ball videos for all of your Marines and Sailors! 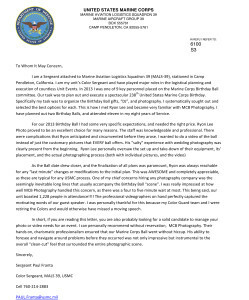 Contact us to find out how you can create the ultimate Birthday Ball experience for your Marines and Sailors by offering them 40+ years of professional Birthday Ball photography experience from MCB Photo but also amazing video DVD memories by Ryon Lee Media! You can opt to have your entire event or just your ceremony professionally filmed and edited! CLICK 2013-14 RECOMMENDATION LETTER BELOW TO ENLARGE!